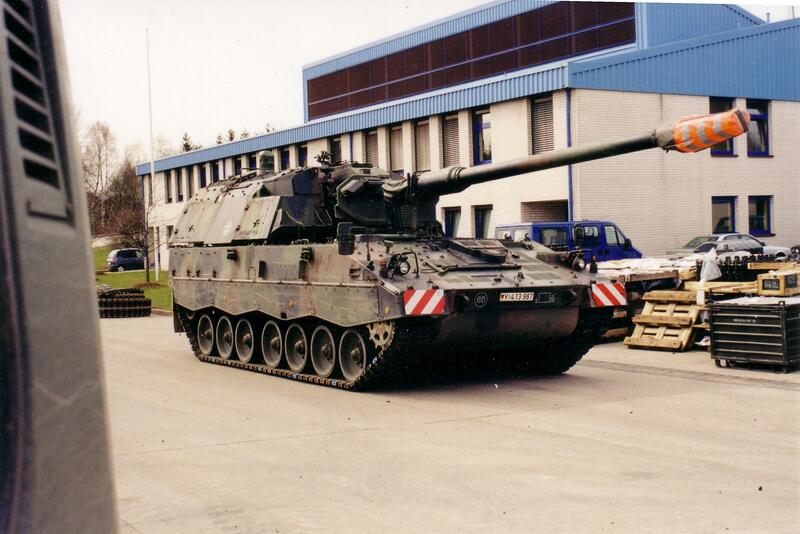 An investigation carried out at the German Tank Manufacturer KMW has uncovered payments of 5 million euros made to two former Socialist (SDP) members of the German Government via a ‘consulting’ organisation. These payments were made when KMW was bidding to supply 2 billion euros worth of new tanks and equipment to the Greek Government. A senior Greek socialist defence politician with links to the same German ‘consultants’ has been sentenced for money laundering and corruption. One risk area I took special care to manage carefully when I was president of a large Asian joint venture was bribery. In the cultural and political environment at that time the idea of bribing a government official to ‘help’ advance a business objective was a common temptation. In constructing our chemicals complex we required numerous permits and approvals to ensure the equipment and raw materials could be imported and the new factory would be allowed to start operations on time. In such situations bribery can take several forms. In its most overt form a business person pays someone in authority to use his or her influence to ensure a new business proposal gets approved. In some cases this can involve millions of dollars. However there are many smaller transactions known as facilitation payments which may be used to grease the wheels of a local bureaucracy. For example in some countries visas and import permits will get preferential treatment by staff when they are accompanied by a relatively modest payment towards the ‘retirement’ fund of an appropriate official. I was fortunate in that the parent company I worked for made it very clear to all its business partners that it would not tolerate any forms of bribery including even the most modest facilitation payments. This included things like the provision of per diem expenses, travel costs or paying accommodation for government officials and their spouses on trips to ‘review’ business proposals. Overseas government officials would often prefer to carry out such reviews in places like London, Paris of New York (great places for shopping). A clear, well communicated, zero tolerance policy towards bribery helped me to manage my business partners’ expectations – as a result most of them knew it was pointless asking. For me the choice was simple – if I ever got involved in bribery I would get fired. However a very straight approach can put you at a disadvantage against competitors who were prepared to ‘bend the rules‘. Today such bending activities are receiving much more attention as international regulations get tighter and are being policed more rigorously. Transgressors are starting to get punished with huge fines. The reputations of some well known organisations are being destroyed by public disclosures of the practices they have been prepared to use when securing important overseas’ deals. Much anti-bribery or anti-corruption legislation like the US Foreign Corrupt Practices Act and the UK Bribery Act are international in their reach meaning that a parent company with a stock market listing in the UK or USA or with managers located in those countries may face litigation for suspected overseas corrupt activities. So the old excuse of “that’s the way they do things in such-and-such a country” no longer works. In addition the legislative processes in many developing countries are waking up to the value lost to their societies through corruption. It is not just in developing regions where examples of corrupt practices are being exposed. Some serious accusations of bribery can be found much closer to home. For example a case is currently unfolding in the heart of Europe involving government officials in Germany and Greece. It concerns an area in which politics and business are sometimes closely intertwined – the arms industry. The specific transactions in this report involve the sale of tanks and related equipment from Germany to Greece. 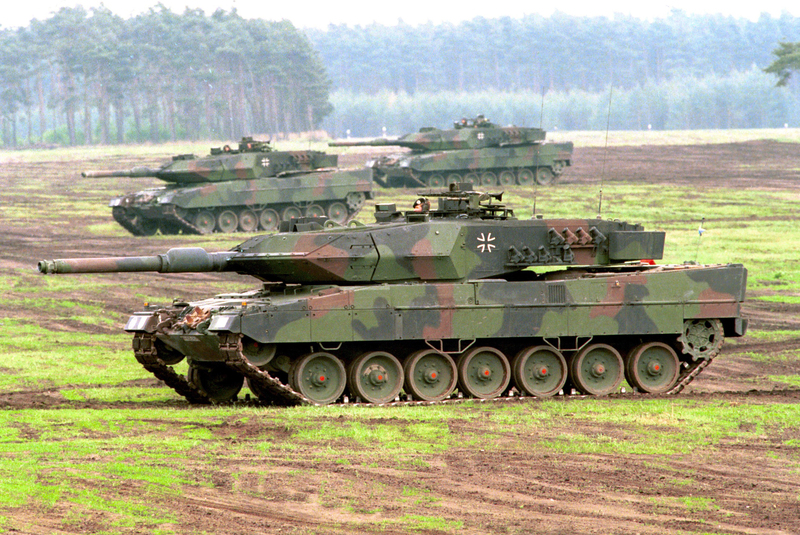 The German Military Equipment Manufacturer Krauss-Maffei Wegmann (KMW) recently asked Pricewaterhouse Coopers (PwC) to carry out an internal investigation into deals involving the sale of its German manufactured tanks to Greece. The company had grounds to suspect that corrupt payments may have been involved. In the past decade KMW sold nearly two billion euros worth of Leopard-2-tanks and self-propelled howitzers to the Athens government. 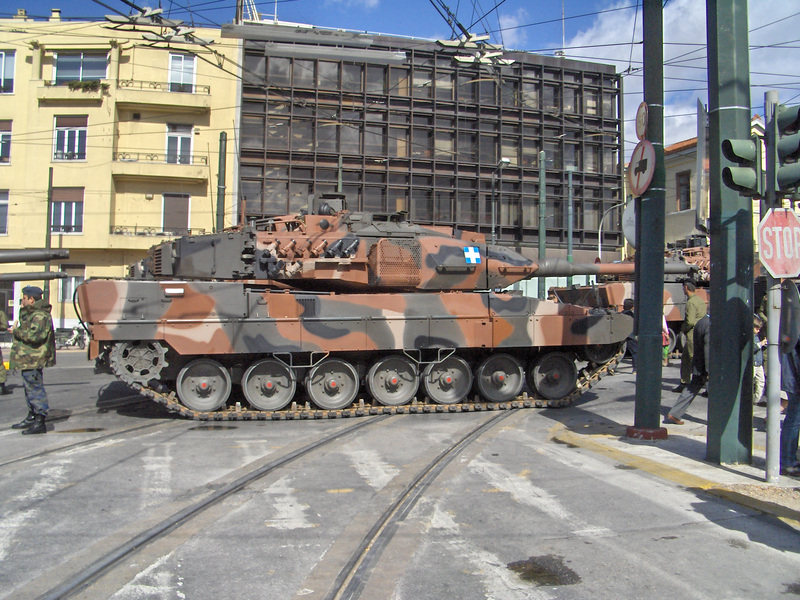 Prior to this Greece had been talking to various overseas suppliers with a view to replacing its ageing fleet of tanks. At around the same time as these deals were being discussed PwC identified that KMW had made payments of over 5 million euros to an advisory company called BfS. In the Internal Auditing world alarm bells start to ring whenever we see the use of ‘consultancy fees‘ associated with what should be normal commercial transactions. In such situations we take a very close look at the structure of the consultancy organisation, its stakeholders and the precise commercial justification for the payments. The advisory company BfS (which is short for ‘Büro für Südosteuropaberatung‘ or the South East Europe Consultancy Office) was an organisation involving two former senior Socialist Party (SPD) members of the German Government. One of these had been the chairperson of an influential German-Greek Parliamentary Group and had very good links to Greek socialist party (Pasok) which was in power at the time Athens was negotiating for new supplies of tanks. The other former German socialist member of parliament had been a senior officer in the army and held a high level position in the Government’s Defence Committee during his time in Government. According to German press reports these two former members of parliament were recipients of the 5 million euro ‘consultancy’ fee paid by KMW at the same time that it was negotiating with Athens to supply tanks. In addition to leading its government at the time of these deals the Greek socialist party Pasok had very close links to its sister party in Germany, the SPD, to which both of these consultants belonged. The Greek defence minister at that time is reported to have had regular meetings with at least one of the consultants. This same defence minister, one of the most powerful people in his country at the time of the deal, is now serving a prison sentence for money laundering and corruption. That sentence was related to millions of euros he received from other deals involving the acquisition of German submarines and Russian rockets. Following the success of its negotiations KMW received an order from Greece in 2003 for 170 Leopard 2 tanks plus related tank equipment valued at 1.7 billion euros. At around the same time a further sale of 200 million euros worth of self propelled Howitzers was also agreed with Athens. In 2013 a former Greek Defence Ministry procurement employee informed the authorities that he had been bribed by representatives of the German Tank supplier. This was reported to be the reason that KMW had asked PwC to investigate suspected corrupt practices in its dealings with Athens. In its investigations PwC was unable to find a satisfactory justification for KMW’s payment of 5 million euros to the two German politicians. In addition to questioning the Defence Ministry procurement employee the Greek authorities are investigating a former KMW manager for possible corrupt activities. In Germany the authorities are also investigation a former KMW employee for tax evasion – apparently bribes/facilitation payments where incorrectly entered into the accounts as operational expenses and therefore registered as tax deductible items. At the time of writing this review it was unclear how the German authorities would respond to the results of the PwC investigation at KMW. Clearly further investigations can be expected in this area to determine, for example, whether any ‘consultancy fees’ paid by KMW were involved in encouraging senior members of the Greek Socialist party Pasok to look favourably upon a bid by the German Tank Manufacturer. At this time such suggestions are speculative although based on my experience of auditing bribery and corruption I would imagine that certain former members of the SPD led German Government are having serious discussions with their lawyers. This situation highlights that when we are look for business risks in relation to corrupt practices it is important to look closely for any ‘consultancy’ payments and particularly whether the recipients involve influential government officials (including former ones). The potential for serious corrupt activities can sometimes lie much closer to home than we realise.